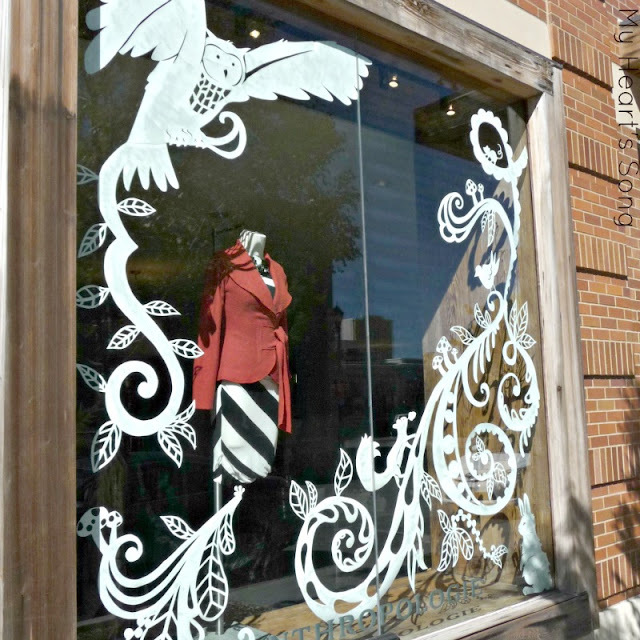 Do you have a shop that you like to visit ... just for the sake of inspiration? I'll admit that it takes a lot to impress me, but there is one store that does it every single time. Therefore, when I get within five miles of any of their shops my car knows just what to do. 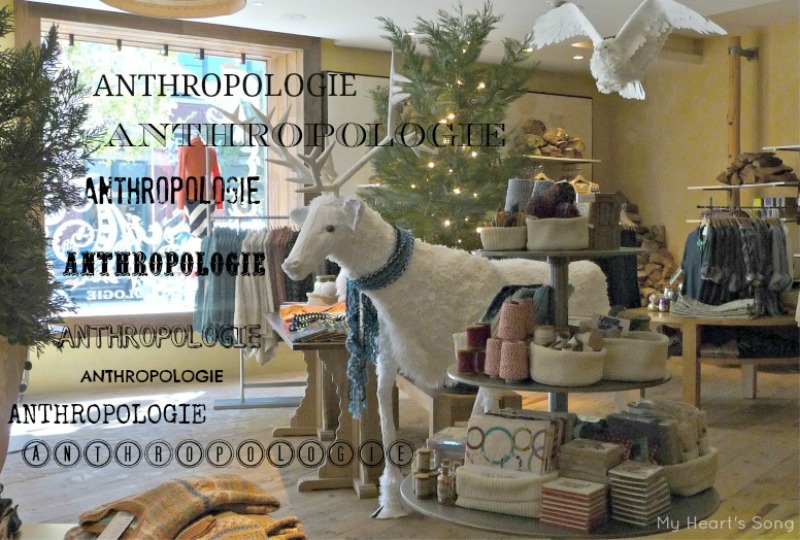 If you've never visited an Anthropologie all I can say is... "treat yourself" because their creativity will speak to all five senses. 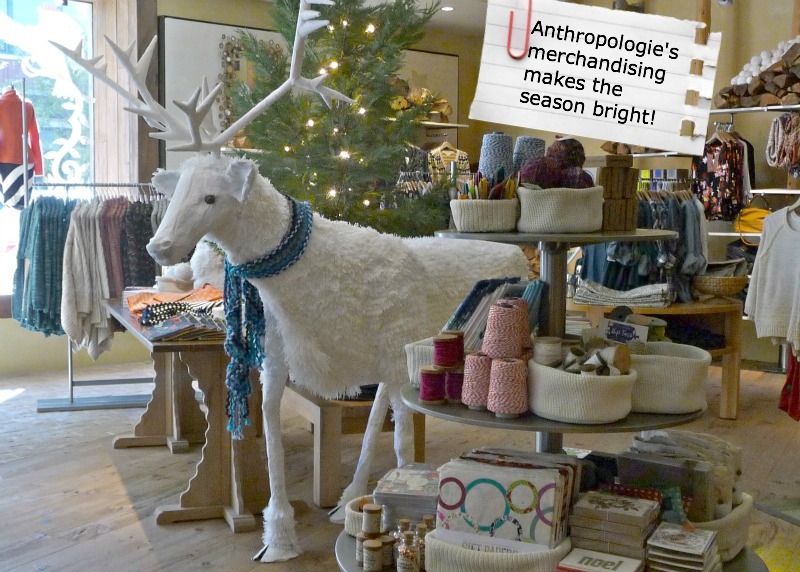 When I visited a local store a few weeks ago, I was delighted by this full size paper mache reindeer and bird in flight. I just stood there amazed, wondering what kind of mind thinks up these glorious displays! Even their street side windows were spectacular... at first I thought this design was painted on, but it's like a giant scherenschnitte. I'll admit that I don't always just look when I visit Anthroplogie...I would say that Buzz hates it when I go, but he's my equal when it comes to finding little treasures there. ps: If you follow my facebook page, I know you've already seen some of these pictures, but it was worth sharing them again.